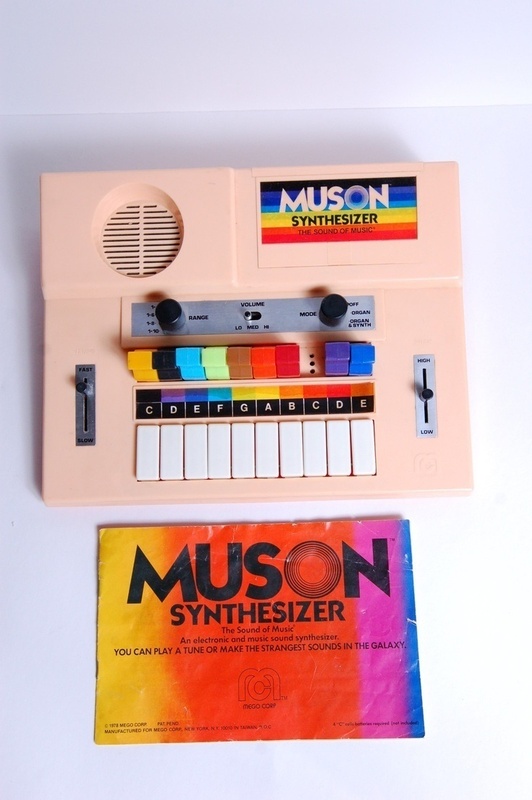 This may just be the coolest synth I've ever soon, the Muson Synthesizer is a rare mini organ with a built-in sequencer, created in 1978 by Mego Corp.
Kind of a ROLAND TB-303 but much cooler & cheaper – still cheaper… The coloured buttons can be used to change the melody and rhythm. 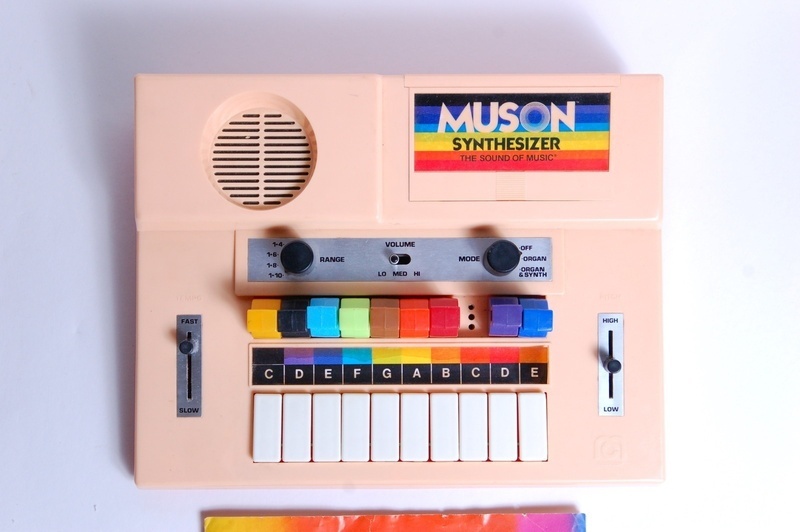 Each color has a different tune. You can also change the speed and pitch of the sequence with 2 sliders. 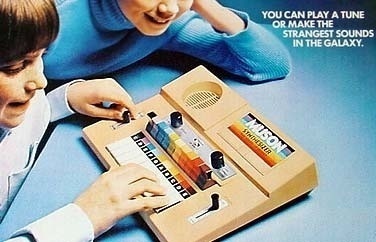 This was also released by Palitoy in the UK. 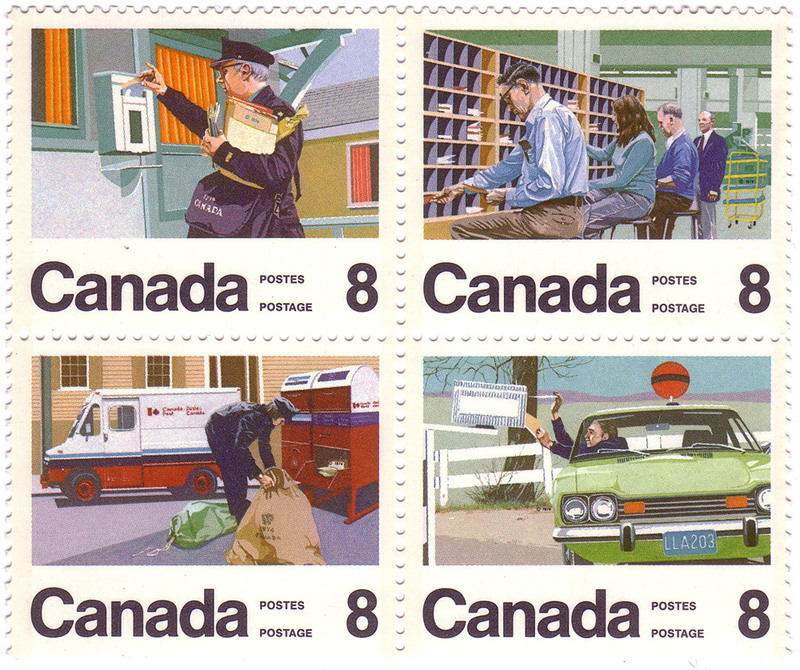 So square they're cool - stamps from 1974 celebrating Canada Post (Postes Canada).